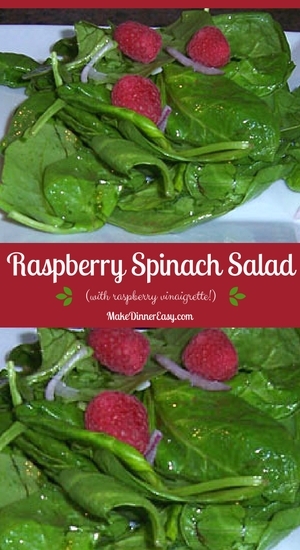 This is a simple Raspberry Spinach Salad recipe that includes fresh raspberries and a homemade raspberry vinaigrette dressing. If you use olive oil in the vinaigrette, I would recommend using a light variety. Regular olive oil will be a bit too heavy for this recipe.I haven't included quantities in the salad portion of this recipe as you can just use whatever amount of each item that appeals to you. The dressing will make enough to dress a salad for 8-10 people. Combine salad ingredients in a large bowl. In a separate bowl or cup, combine the vinaigrette ingredients. 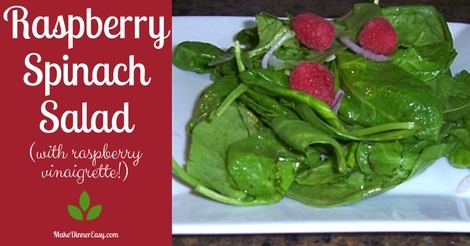 Add just enough dressing to lightly coat the spinach. 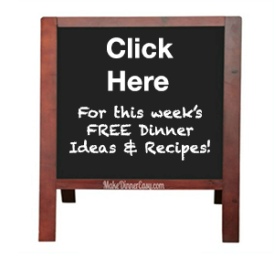 Most likely you will not use all of the dressing but it will keep for at least a week in the refrigerator. Remember if you do use olive oil, that it will solidify when cold but will return to it's normal consistency when brought back to room temperature.